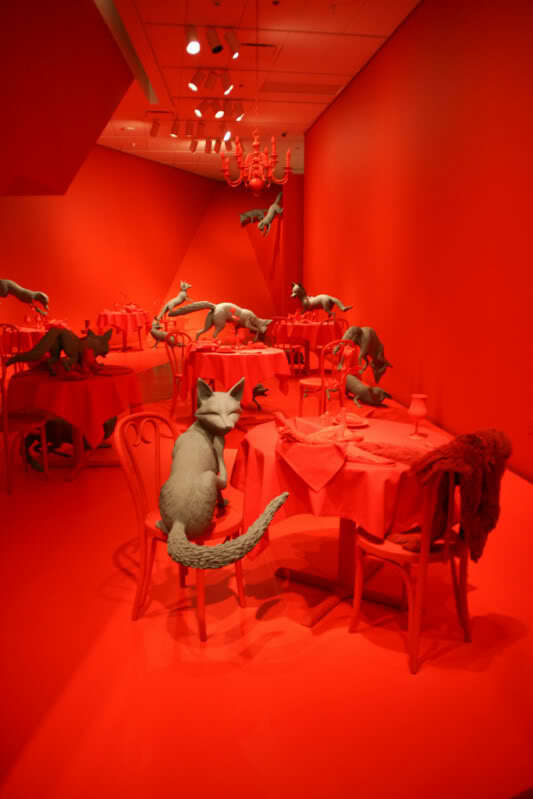 I first became aware of Sandy Skoglund’s work when researching the word ‘Revenge’ for my 3D Design award project Revenge Is Sweet. I googled revenge and her work ‘Revenge of the goldfish’ came up in the image search. My first impression was that it was odd, but clever (which can be said for a lot of things funnily enough!). I am assuming that the goldfishs’ revenge is that the humans are now living in their world? This work is from 1981 and it does show in the quality of the photograph, but it is still an amazing piece, wouldn’t you agree? That’s right. Snakes. Egg shells. Naked women. and a bathroom. I know, its crazy! But once again such a great visual, and for different reasons this time. The items are random, but what I like most about this photo is the texture/feeling I get from it. I just look at it and I can imagine feeling eggs beneath my feet and the scales of the snakes. I can’t feel the naked women, but I prefer to keep it that way! Why are the women there anyway? This piece is appropriately titled ‘Walking on eggshells’ and I really love the pattern that the eggs on the floor make; prettier than any paving I have ever seen! 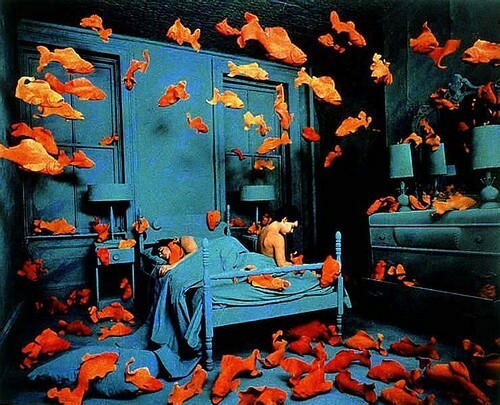 Another striking piece, similar in concept to ‘The Revenge of the Goldfish’ is ‘Fox Games’. Skoglund has done many different versions, each time featuring a different animal, but this one with the foxes stays in my mind because I found pictures on flickr which showed it displayed in a museum. There were people walking through the display and I just thought it was SO great. 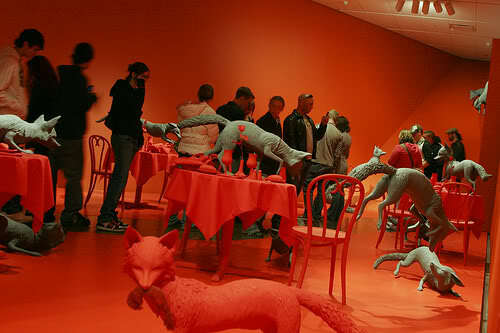 I would love to walk through the middle of the ‘Fox Games’ but sadly it is held at a museum in Denver Art Museum – Denver, Colorado, USA so doesn’t look like there’s much chance of that happening! Still, the pictures are fascinating!